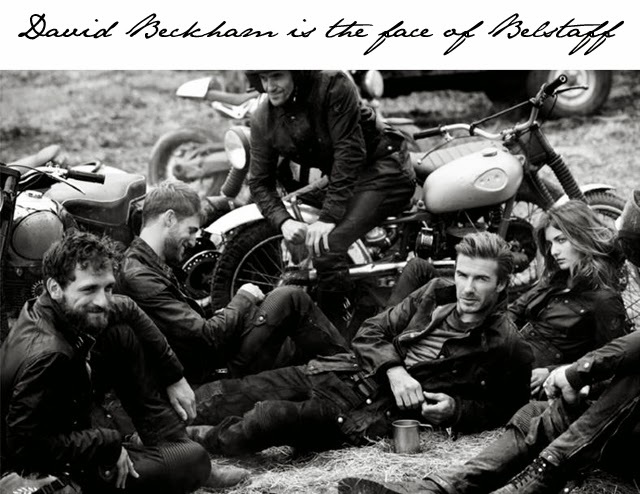 For those of you worried you wouldn't be seeing enough of David Beckham post-retirement, never fear as Belstaff is here. It has just been announced that David Beckham will be the global face of the brand for 2014. If you're an avid FFG reader, this will come as no surprise to you as just two months ago we covered a similar story featuring Beckham and Belstaff. For the opening of Belstaff's London flagship store, David Beckham rocked up on a motorbike and surprised the waiting audience as he entered the store, dressed in Belstaff with helmet in hand. Swoon. So the announcement ,with the accompanying picture seen above, is not as much a surprise, but rather a lovely Thursday visual we've been anticipating.